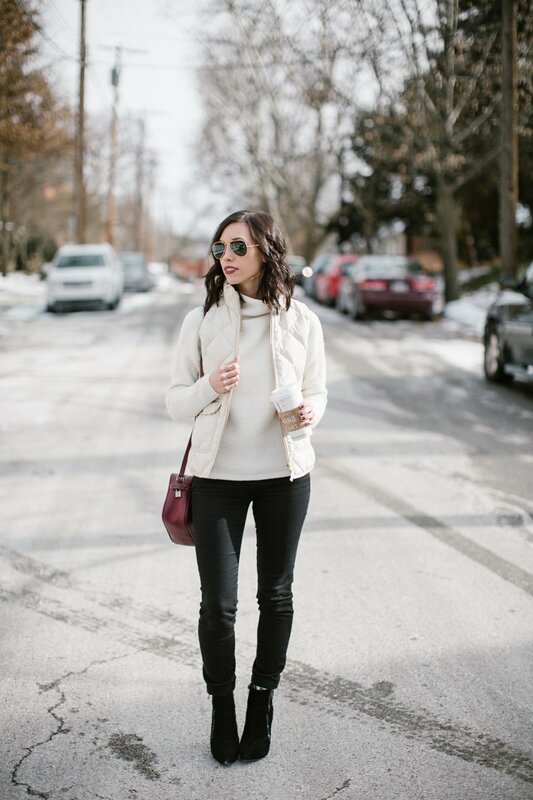 Now that I’m armed with all of these great tips on finding your personal style, and creating outfits that flatter, I find myself taking a deeper look at my wardrobe, and thinking a little bit harder about the outfits that I’m putting together. To hold myself accountable, each time I post an outfit, I’ll also share with you what, in my opinion, makes this outfit great. I expect that I’ll even have a few misses along the way, and when I do, I’ll share those, too. I would love it if you shared your feedback, even if that means constructive criticism. This year will be a journey for both of us, and I’m hoping to learn a lot together! I purchased this sweater from Madewell after seeing the film Jackie, in which Natalie Portman wears a mockneck turtleneck during her interview with the reporter. 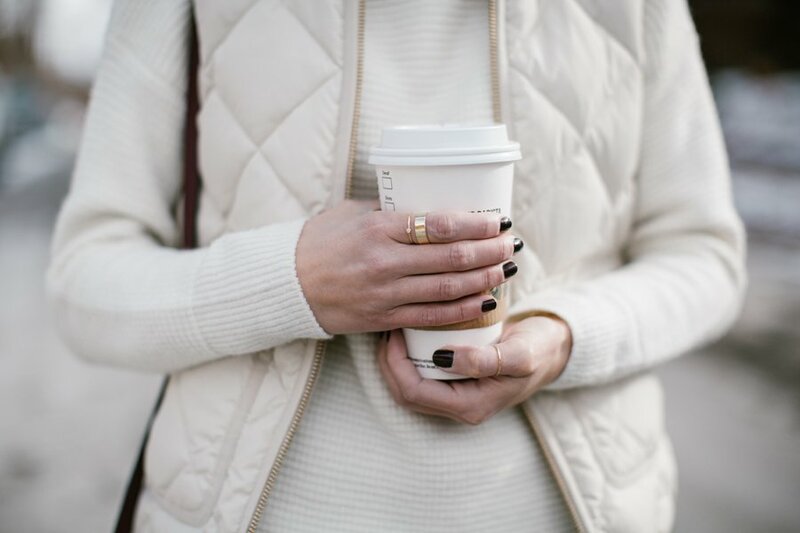 In each scene, I kept swooning over that sweater so, when I saw this similar-looking version from Madewell, I was instantly drawn. Asking myself the important questions (Is this a flattering color? Do I love this piece enough to consider it a 10? Is this piece aligned with my personal style?) and receiving affirmative answers to each, I went ahead with the purchase. The look below is actually the second time that I styled this sweater. I first wore it with a simple pair of skinny jeans and flats for casual Friday at work. Unfortunately, with all the snow and cold, I wasn’t up for wearing flats in below-freezing temperatures, and restyled with the pieces below. 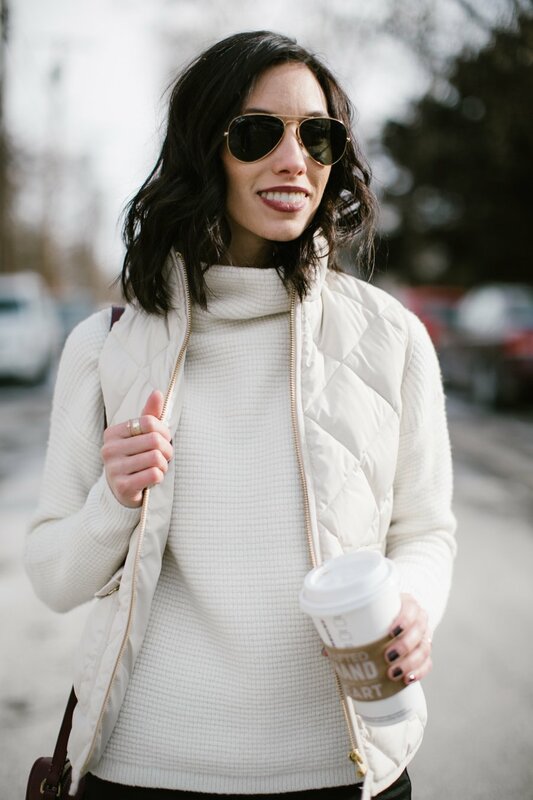 The colors of the vest and turtleneck compliment a “Caviar” complexion, allowing my dark hair to stand out. I’m trying to be more careful with the shades of beige, taupe and cream that I wear, as I’ve read (and then noticed) that some of those shades tend to wash me out. 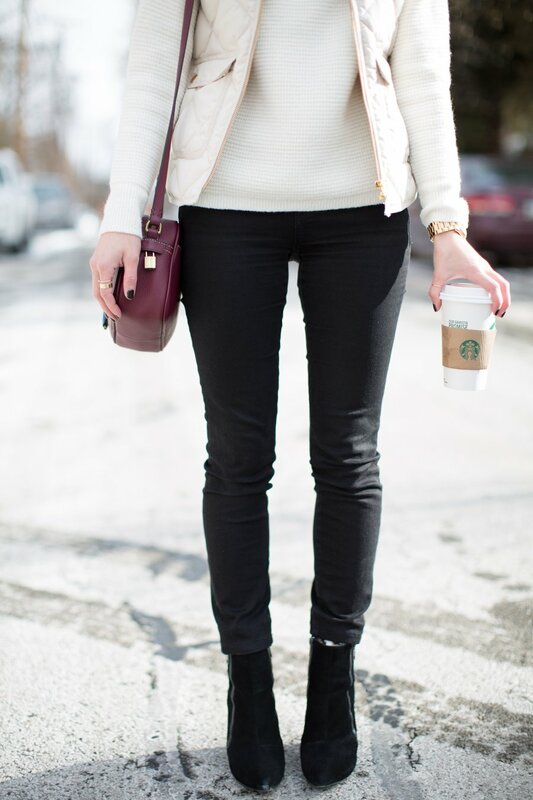 The black pants with matching wedge booties create the illusion of longer legs–always a plus for my petite frame. The dark, jewel-tone lip color helps to ensure I’m not washed out, defining my features in a shade that compliments the rest of the outfit. I was being lazy and left on my fuzzy white socks, thinking the boots were high enough to camouflage them. Not the case. They clearly snuck out in a few shots. Next time around, I would wear a black trouser sock, and roll my jeans to create a more smooth line and prevent some of that bunching so that my legs aren’t cut off at the ankle. What do you like about the look? WANT TO SHOP THE OUTFIT? Hi! 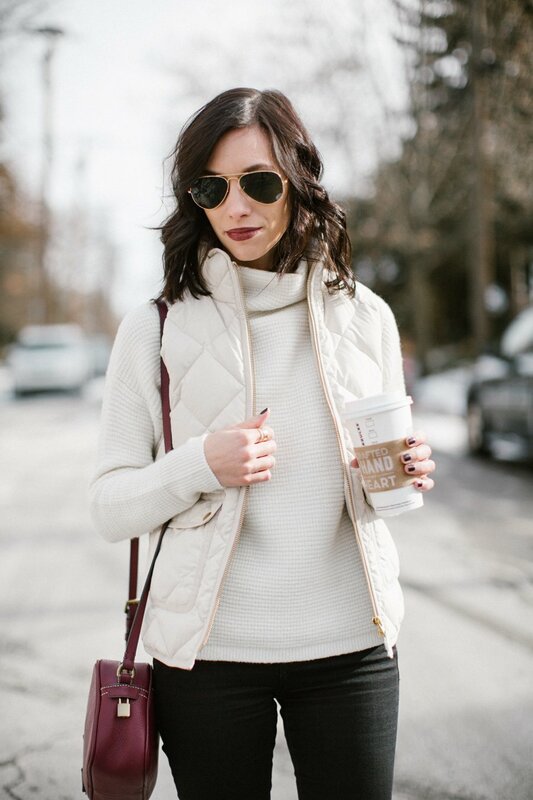 Love your winter weekend post and have been looking for a vest exactly like that white/cream one you are wearing. Could you please let me know where you purchased it from? Thanks!